What does Aafia mean, details, origin, short & easy attributes? The meaning of the name â€œAafiaâ€ is: â€œVigor; Vitality; Healthy; Wise and Beautiful, Khairiyat Sayâ€. Categories: Arabic Names, Indian Names, Muslim Names, Pakistani Names, Urdu names. Aafia is baby girl name mainly popular in Muslim religion and its main origin is Arabic. Aafia name meanings is Vigor, Vitality, Good health. People search this name as Aafia. Other similar sounding names can be Afia, Aoife, Afua. Each letter meanings in Aafia Name. Popular personalities with Aafia Name. 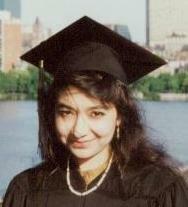 Aafia was born on March 2nd, 1972 in Karachi. Aafia is also known as Prisoner 650", "Grey lady of Baghram", and "Lady al-Qaeda".